Your story is unique, and you didn't get to choose it. You do get to choose how it influences your world view. Sebastian Shaw is a unique person (unfortunately, the movie’s term is “Mutant”) who tries to use his uniqueness to rule the world. 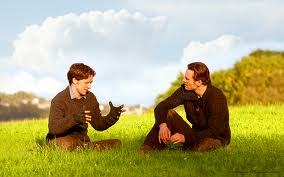 Charles tries to stand in his way by gathering a group of differently-gifted people to oppose him. A person touched by adoption has a life story that differs from the experiences and expectations of many others. Some view their unique story as a building block for community: like Charles, they find joy in their story and seek out others with similar experiences. Some experience it with a level of distress: like McCoy and Raven they fear being ridiculed or misjudged by others, wish that their story was hidden, and struggle to come to accept themselves. Some, like Lensherr, view their story with pain and anger and are uncertain how to direct their lives in light of their experience. All are on a journey of processing. 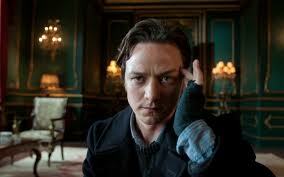 X-Men: First Class is an excellent study in choosing what to do with the hand you’ve been dealt. There are really three schools of thought espoused by the characters in this film. 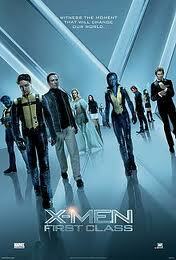 Charles Xavier believes that “Mutants” and normal people can live together in peace. A villain believes that “Mutants” are superior and should eradicate humans. And then there’s Erik. Erik learns to embrace and value his uniqueness but he is fueled by anger, harbors grudges, expects people to treat him unkindly, and holds himself in opposition to society. His pessimistic expectations of others are not without basis; various governments try to use, control, and eventually destroy the “Mutants.” At the same time, there are people who are kind to them. Because of his expectations though, his experiences of mistreatment serve as proof to him that almost everyone is against him. Other characters reach different conclusions. The movie seems to show that preconceptions and expectations have as much impact on one’s worldview as the actual events one experiences. This is a powerful thought; it gives each person some responsibility – and control – over how they view the world. Some scenes in this film could be troubling for some young viewers: Erik’s mother is killed in front of him by a Nazi officer trying to make Erik exhibit his metal-moving gift. Erik harbors a grudge for decades. He finally finds the officer and murders him in cold blood, in full view of the camera. Charles has tried to convince Erik not to do this, but in a powerful scene Erik symbolically and literally shuts Charles’s voice out of his mind. There is gun violence in the film and a major character is paralyzed by a bullet wound. X-Men: First Class doesn’t mention adoption, but the questions of self-acceptance, expectations of others, and orientation toward the world are relevant for all teenagers, and perhaps especially adopted ones. The violent scenes make this movie a bad choice for younger kids, especially those who’ve experienced trauma. The movie’s best audience is probably 12-17 year-olds and their parents. Your story is unique. Do you view it as a good thing, a bad thing, or something else? What does it mean to accept your story? What does it mean to accept yourself? What will you do with the adoption connection in your life? What other parts of your story make you unique? What have you experienced of others in relation to your uniqueness? What do you expect of others? How do you view the world? Is it a good place, or a bad place? Who gets to choose how you view the world? Was this post helpful? Subscribe by email, or follow Adoption at the Movies on Facebook! Other than the violence, sounds like some good messages here about loving oneself, warts and all. I really like what you say here: "preconceptions and expectations have as much impact on one’s worldview as the actual events one experiences."